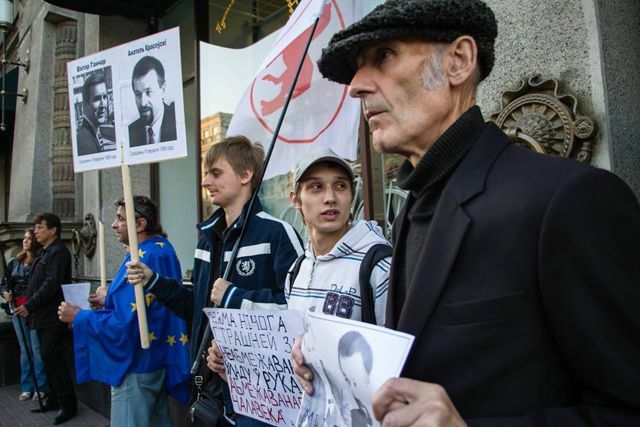 Anatol Liabedzka and activists of the United Civil Party (UCP) held a picket dedicated to the 16th anniversary of abduction of Viktor Gonchar and Anatol Krasovskiy. The action was held in front of the State department store (GUM) in Minsk. 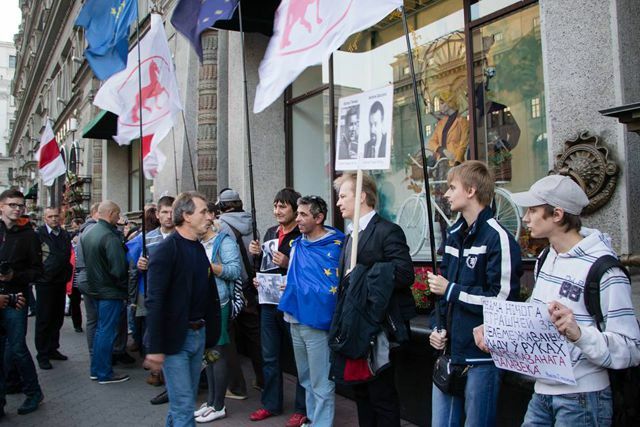 Participants of the picket unfurled national white-red-white flags, as well as flags of the United Civil Party and portraits of Viktor Gonchar and Anatol Krasovskiy. The organizers did not file an application for holding the rally. As a result, police officers draw up a report against Anatol Liabedzka and the UCP activist Nikolai Kozlov for holding an unsanctioned rally. Liabedzka and Kozlov refused to sign it. The rally finished at 7 p.m.